Whitefish Theatre Company presents "Letters Aloud: FAME"
Name: Whitefish Theatre Company presents "Letters Aloud: FAME"
They're not going to live forever! Andy Warhol’s quote, “In the future, everyone will be world-famous for 15 minutes”, could not be more true of fame’s fleeting nature in our celebrity-saturated culture. However, fame can teach you things – about yourself, about hard work, about enjoyment, about pride, and about your impact on the world and others. 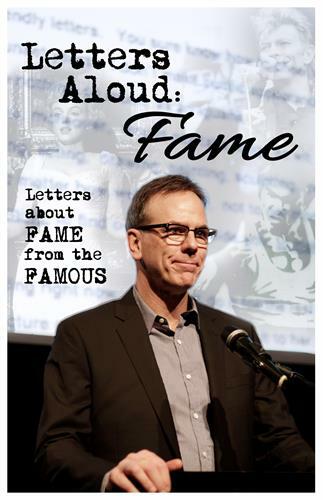 Letters Aloud has created a truly innovative show titled FAME that brings to life personal letters of the famous and infamous, complete with live music and photos, for a joyful and often hilarious look at the very human condition of celebrity and the lessons it teaches. From humble beginnings to adoring fans to looking back on achievements, Letters Aloud explores the humanity of fame through letters to and from luminaries like Emily Dickinson, David Bowie, Tom Hanks, Elvis Presley, Marilyn Monroe, Stephen King, Oprah Winfrey, John Cleese, Amelia Earhart, and Andy Warhol himself. These real letters read aloud will make history come to life in the most surprising, inspiring, and uproarious ways.